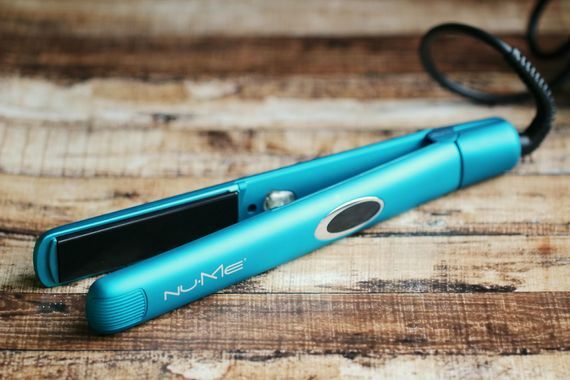 A hair straightener is basically a lifeline (buh-bye, stubborn fly-aways), but you clean it...never. And hi, all that product build-up on the plates is quickly canceling out all the effort you put into styling your hair in the first place. So we found an easy solution to help you get rid of the residue. What you do: When your flat iron is completely cool (and unplugged), dip a couple of cotton balls in the rubbing alcohol and gently swab them to clean the plates. When you're done, wipe down the entire flat iron with the cloth. And if the hair product is really caked on: Grab a clean toothbrush or Magic Eraser (the world's best abrasive). Give tough-to-clean spots (like the lip between the plate and the plastic) a concentrated scrub. When you should do it: One final PSA: You should actually be cleaning your flat iron at least once a week. Your blowouts will thank you.